I purchased an ATI 5770 graphics card early this year when I built my latest PC. Sporting a gigabyte of RAM, and supporting DirectX 10, it was a reasonable purchase for a mid-range video card. Unfortunately, I encountered an error with ATI’s Catalyst drivers for the card. When the system was running a heavy duty video game, or something else intensive on the graphics card, it ran flawlessly. When it was seemingly doing nothing, I would occasionally get an error that the “display driver atikmdag stopped responding and has successfully recovered“. Thanks to Windows 7, other than a few seconds of a blank screen, there was no downtime. It became annoying to deal with on a weekly basis, so I looked into what was going on with the card. The ATI Catalyst drivers configure one set clock speeds for your GPU(graphics processing unit) and card memory when it’s under a load like intensive games, and a separate set of clock speeds when it is performing simple chores, such as displaying windows moving around your desktop. These settings are visible under the ATI Overdrive configuration in the Catalyst Control Panel, as shown in the first image below. You’ll notice my “Current Values” are higher than the default 150-175mhz range(highlighted in red). You have to set this default value to ~250mhz to resolve the “display driver atikmdag stopped responding” error. Here’s why I think it’s happening. Every time I have encountered this error, it has been when my system has been sitting idle or had the monitor powered down, then tried to resume it. Create a Profile in the Catalyst Control Panel by clicking Options, Profiles, Profile Manager. Type a name for the profile(remember this name), then check the box to tell the profile to include the ATI Overdrive settings, as this is all that is needed. Save the Profile, but DON’T ACTIVATE it yet. Close the Catalyst Control Panel and open your favorite text editor. Navigate to your C:\Users\USERNAME\AppData\Local\ATI\ACE\Profiles folder and open the file with the name of the profile you created. Under the CoreClockTarget_0 section, make your file match mine in the highlighted portion below. You’ll see we’re modifying the want values, as these are the values the card uses depending on how much power your system “wants”. (at least that’s my guess) The first line changes the at rest value and it should be enough to stop the driver stopped responding errors. Save the file, go back to your Catalyst Control Panel and activate the Profile by clicking Options, Profiles, Activate Profile and choosing the profile you created. Be sure your Enable ATI Overdrive box is checked and you’ll see your default clock value bump to 250mhz. Since I’ve enabled this, I haven’t encountered another graphics driver error in Windows 7. -my memory clock setting is 600 and 1445 (1255Mhz) and i dont know how to change it to 1200 and 1445. – my memory clock is 1255Mhz and i dont know how to change it to 500Mhz. This can be done by checking the box to Enable Overdrive and setting the sliders appropriately. Be very careful adjusting them, as setting the clock and memory speed to high will cause system instability. question.. how do u tweak the voltage for your graphics card? 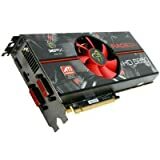 i am using a hd5770 sapphire video card. using a p55a-ud3 gigabyte mobo i5-750. I forgot to write that I used also atiflash. I’ve booted my pc with an usb flash, after I copied atiflash and the modified bin file. First of all, make sure you keep a backup bin file, just in case. The command looks like this: c:\atiflash -p 0 filename.bin. I fixed my Powercolor hd5770 with Gpu-z & Radeon bios editor: first extract bios with Gpu-z, then edit the bin file with RBE, just by modifying the voltages lower than 1V (like 0.95V) with 1V and the 2D clock freq from 157Mhz to 200Mhz. That’s it! no more glitches in 2D appz or idle. Tested with catalyst v 10.3. It didnt change my memory clock to 500 by the way, just the GPU clock. My memory clock is at 300. Underneath my user name there is no application data folder in my windows 7 system. So I can’t find the file. It’s also not in the ATI folder underneath program files. A note I forgot to mention in the original post. The APPDATA folder is a hidden folder and by default is hidden. You can show hidden folders (in the control panel, open Folder Options, click the View tab and check the box to show hidden files and folders) and the folder will be visible. A second note, you must have the Catalyst drivers installed(available freely from AMD/ATI’s site).